May 5, 2016 – Astronaut Al Shepard made history 55 years ago today as he become the first American in space. Shepard was launched at 9:34 a.m. EST aboard the spacecraft he named Freedom 7. It was launched on a Redstone rocket. Only 23 days earlier, Soviet cosmonaut Yuri Gagarin had become the first man in space. 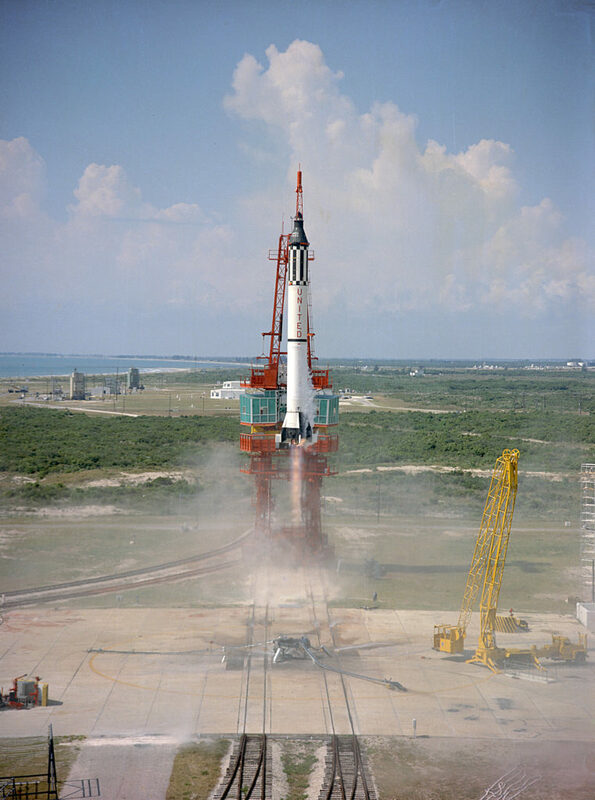 Shepard was launched suborbitally to an altitude of over 116 miles, 303 statute miles down range from Cape Canaveral. His 15 minute 28 second flight achieved a velocity of 5,134 miles per hour and pulled a maximum of 11G’s. Freedom 7 splashed down in the Atlantic Ocean where the aircraft carrier Lake Champlain awaited his arrival. Among the many honors Shepard received he was awarded the Congressional Medal of Honor (Space), two NASA Distinguished Service Medals, the NASA Exceptional Service Medal, the Navy Distinguished Flying Cross, the Langley Medal (highest award of the Smithsonian Institution), the Lambert Trophy, the Kinchloe Trophy, the Cabot Award, the Collier Trophy, the City of New York Gold Medal (1971), and the American Astronautical Society’s Flight Achievement Award for 1971. 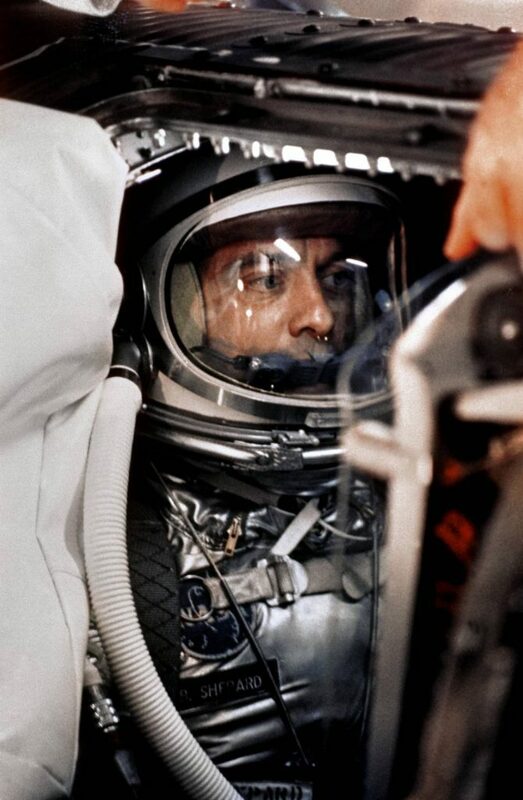 NASA selected Alan Shepard as one of its first seven astronauts in 1959.